This entry was posted in Uncategorized and tagged asexuality, attitudes to gay clients, BACP, British Association for Counselling and Psychotherapy, Conversion Therapy, Gay cure, LGBT, psychotherapy, reparative therapy, trans, trans erasure, transphobia. Bookmark the permalink. You raise many important and potentially very complex issues Dominic. I admire your stance towards your experience with BACP and the reasons behind it. I guess not all therapists can be qualified enough to deal with every presenting issue. Where are you on meeting the person where they are at, so to speak and working with just that, where they are at, at that moment in their life. We may be able to turn this yet, Dominic. I’ve been working for 6 years in UKCP to try to get sign up to an informed and inclusive statement on this but it got taken over by those in power but with no knowledge. Expert witnesses have been excluded from the conversation and research eliminated if it is not just about “conversion therapy”. I have a sort of complex PTSD from these events over the years and cannot believe the machinations to continue to distract from the failings in the big organisations in how they train members of their profession and treat members of the public. The most disheartening is the process of clinicians being dictated to by non-clinicians or people with no knowledge of working with Gender and Sexual Minorities. But we are close this time, at least not suffering so much in secret and isolation as before when it was each of us struggling alone in our big organisation. Let’s look at next possible strategies. We need numbers to protest as well. How different organisations can be. 15 years ago, just a year post-transition, I was appointed the NACHP’s Gender Identity specialist and elected to the council. I have found BACP to be rude & ignorant at times. Their attitude to members is dismissive. I was “randomly” audited two years running & on the second occasion did not fill in all the required sections. I got rude correspondence threatening removal from the register & giving very short deadlines. I don’t think they understand what it’s like to do a stressful job. I have now resigned as I gave up work but have had no acknowledgement of my resignation or the issues I raised. Considering they represent therapists their approach is very poor. 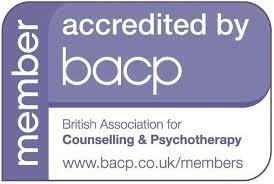 THANK YOU Dominic, BACP accreditation alone can be a warning signal for LGBTQIA people! Thanks Dominic for voicing a very important point. We are taught that being congruent with are clients are a necessity. We would expect our governing bodies to support all our clients whatever gender or sexual orientation. This is the manifesto of a posting from OnLine events FaceBook page which might be relevant to the core issue at hand: there is no overarching body to the entire realm of therapy. I am interested in this for the political activism in this mission statement. – Bring together counsellors, psychotherapists and other practitioners from every corner of the field, including trainees, on an equal basis. open to all therapists and trainee therapists in the UK. your subscription, simply deduct and pay the balance. Unity Trust Bank plc, 60-83-01, 20357063; please use your name as reference. Guess what the BACP news bulletin didn’t tell us all about? There’s a much deeper problem here though, to do with extremely low criteria for qualifying these days. If people don’t learn how to think rigorously, or don’t have the capacity to, no amount of training is going to give them the insights they need. Mmm. Many thanks for this. I wasn’t sure which body to join but after reading all the comments I’ve decided for the NCS which was my gut feeling anyway. There are many reasons to get depressed and anxiety disorder. Thanks for sharing.